DJ Paul Oakenfold spinning on the Strip for the first time in more than three years, Scott Disick dressed to bless, and $20,000 in cash and prizes for the most elaborate Halloween costumes, Chateau Nightclub & Gardens was the center of Halloween weekend celebrations in Las Vegas last night. 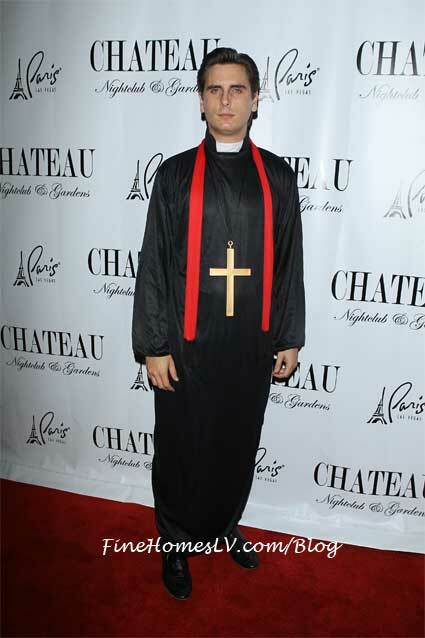 Wearing priestly black and a cross to match, Disick channeled his inner not-so-do-gooder as a club-hopping priest partying with friends. With total disinterest to scantily clad female fans clamoring for his attention, Disick showed off his saintly side by showing he only has eyes for his longtime-love, Kourtney Kardashian. NBA legend, Allen Iverson, took in the costumes with friends, while MTV’s “Jersey Shore” star, Jennifer “JWOWW” Farley, took a night off from dressing up and partied with her boyfriend, Rober Matthews, and a group of friends. Thousands of Halloween revelers hit Chateau Gardens‘ rooftop for a phenomenal set by Oakenfold. The centerpiece of Butterfly for the Blood Orange Masquerade Ball, the world renown DJ brought energy and intensity to the multi-sensory event. Colorful characters and an elaborate setting lit up the sky above the Las Vegas Strip for an unparalleled Halloween fete. From a 20-foot-tall Wild Thing and even bigger fully-lit Transformer to ornate gold glitter-covered statuettes, Vivid Vodka’s $20,000 costume contest was filled with over-the-top contestants vying for the top prize. 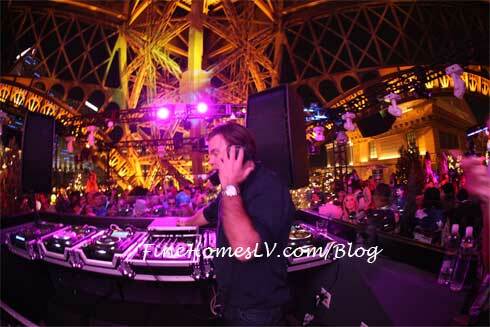 Chateau Nightclub & Gardens is a luxurious nightclub, terrace and lush rooftop nightclub at Paris Las Vegas. The new Chateau Gardens, situated on the rooftop of Paris Las Vegas under the awning of the Eiffel Tower, celebrated its grand opening last weekend. Reminiscent of a lush garden in Versailles, Chateau Gardens spans 22,000 square feet in an unparalleled setting beneath the stars. Butterfly, held every Saturday night at Chateau Gardens, is an ultra-sensory nightlife experience that combines the talents of the world’s top DJs, producers, singers and performance artists.